What are Estate Sales & how you can use storage to help you! Estates are the current holdings of a house or person, and when they decide to sell their estate (either intentionally or through their passing), it can be a nightmare to manage. Since most estate sales move very quickly, you may need to store some belongings for your sale or store some items you’ve picked up for your sales. With this, you need to look for estate sales and storage! Part of the time crunch that occurs when selling an estate has to do with the physical location disappearing. When a house is up for sale, the new owners want to move in quickly, and thus the typical holding area for the items shrinks with every passing day. Public storage makes it easier for you to maintain hold of certain items for future sales by giving you a low-cost place to store them! 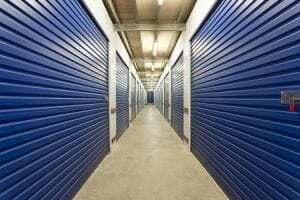 If you are like many of our storage users and will always be shifting out wallpapers and furniture, then you know that public storage is perfect for managing your estate sale purchases. Xtra Storage loves helping our customers with all of their storage needs. If you would like to learn more about our storage services and/or our policies on certain items, don’t hesitate to call us today!